…is my color for spring. 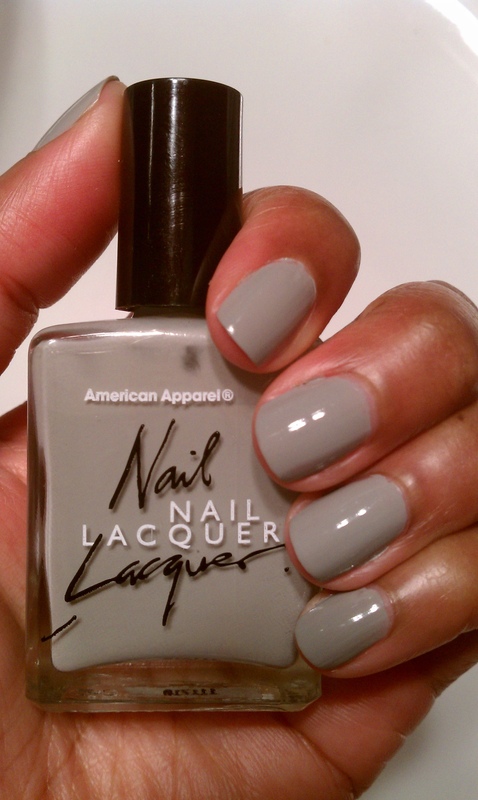 who knew that american apparel could do such great polish? i was hesitant to try it being an opi girl but seeing the rainbow array of so many succulent colors, I took the plunge and got my toes wet with echo park. i had been toying with the idea of a clean gray and being an angeleno, the name alone sold me. the color is smooth and creamy without the metallic or frost of other gray polishes and went on quite easily with two coats. i didn’t have to dry in between so it went pretty quick and being taken with the results, i did my fingernails too, an absolute rarity! DBP, toluene and formaldehyde free are huge selling points. the price is right too at $6 seeing that i’m never loyal to any particular color which means i can try it and pass it on when i’m over it. Very interesting. I will be on the lookout for this color!